A passionate love, turbulent relationship, most likely too complicated for them, maybe too colourful for a wrecked, post-war country shown in the most sublime, sophisticated way possible. Set mainly in communist Poland, 'Cold War' tells a story of a couple of artists, Zula (Joanna Kulig) and Wiktor (Tomasz Kot), who meet on auditions for a folk dance group. Wiktor, an intelligent pianist and conductor, can't take his eyes off an intriguing young girl, and the couple starts an on-again-off-again relationship. This isn't a boring romance, it is actually one of the bleakest and (sadly) most realistic takes on a love story. This is her time. Everybody in the film industry talks about her performance in the 'Cold War'. Known to the Polish audience for a while, Joanna Kulig steals the hearts of international cinephiles in style! Her Zula is authentic. There is some kind of child energy to her. Her eyes are bright and alert, she is unpredictable, spontaneous. She bursts with uncontrollable gaiety and goes mad in seconds. This rebellious, indecisive kid got trapped in a body of a talented, attractive woman. Having had a difficult youth, she grew up too early, but she has never grown up fully. Her passion and restless soul inefficiently lead her through the life. Zula is complex, sometimes sweet, sometimes brash, always feisty. Wiktor is the calm one of this duo, he is withdrawn and charming. Tomasz Kot is a world-class actor from a small Polish town, so outstanding, yet so humble. He is a complete artist- his acting skills are spectacular, but he is also naturally talented. He becomes whoever he plays. His facial expressions, body language, voice, his movements are very coherent. With a short gaze, he can express thousands of emotions. Sometimes I feel like he inspirits the stage props! 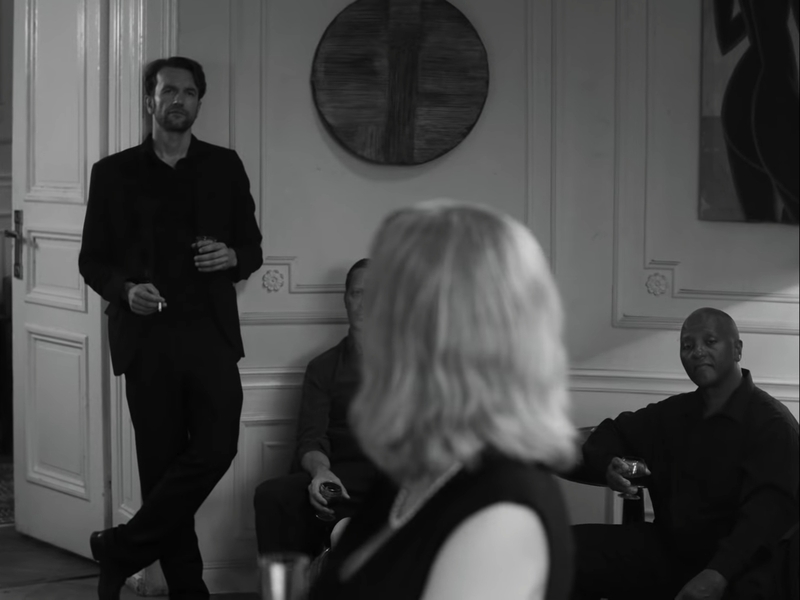 There is a scene in 'Cold War' where Zula sits at the table in a restaurant and drinks the champagne (I guess), and Wiktor leans against the wall and stares at her. In these three to four seconds he tells you all about his love for Zula, all about the pain of being an immigrant, he literally opens up his soul. This kind of cosmic energy about him is just phenomenal. The cast of 'Cold War' is fantastic, Kot and Kulig give outstanding performances, but the supporting actors are just as wonderful. Agata Kulesza, Borys Szyc, Adam Ferency, Adam Woronowicz and all of the dancers made this movie exceptional. I think that 3-4 additional scenes of when Zula and Wiktor were actually in a relationship would give this film even more flavour. I would love to see more of their passion and the complex dynamics between them on the screen. I am not sure though if they wouldn't destroy the harmony, the melody of perfectly crafted 'Cold War'. Music certainly is one of the most important factors of a successful movie. There is an easy way to promote the film with music- pay a pop singer to sing a catchy song and the money you invested returns to your pocket in seconds. And that's ok. But there is a risky way, too. Work on some folk music (so un-fancy, unglamorous and unpopular), and play it the way that every note of it penetrates the corners of one's soul. From folk standards to jazz and rock'n'roll- all dancing and singing scenes in 'Cold War' are beautifully performed. Łukasz Żal's cinematography is unbelievable. He amazes with all the shots being well thought of, modern yet black and white, and referring to the classic cinema. The concert scenes are simply magnificent. He has a fantastic taste, a beautiful way of framing images and he executes his work to perfection. Hats off to Pawlikowski for having the courage to say out loud that love isn't only about the butterflies and flowers, but love can change you, love can devastate you, love sometimes hurts! He faced this ultimate problem by drawing a portrait of two misguided, imperfect people who established their relationship in very difficult circumstances. In a communist country, where life was a survival, and the government controlled every aspect of it. 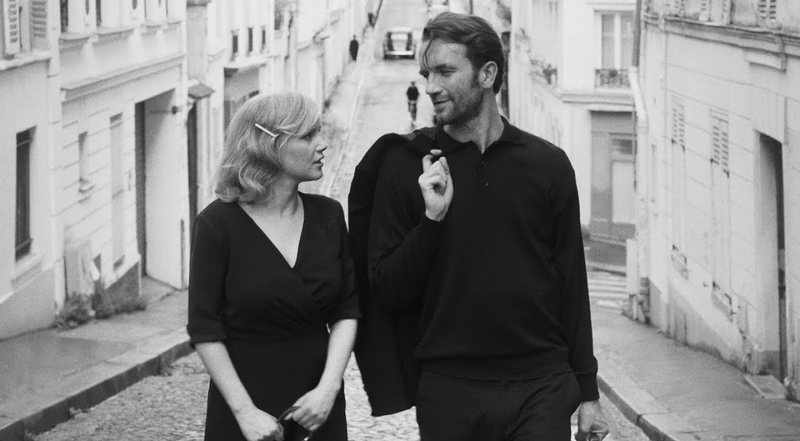 Pawlikowski sculpted 'Cold War' with the surgical precision and generously sprinkled it with his sensitivity and craft by contrasting the power of love and the beauty of Polish culture with the ugliness of the system and the imperfect human nature. What an interesting watch and a story to follow through. Love really is all encompassing! This was a great read. I love a good old love story. I've not heard of this before at all, but it sounds like something I would love. I've just watched the trailer after reading your post and it looks so good. Its a film I have seen advetised here but I love how realistic it seems and sounds very interesting. That sounds like a very interesting film. And refreshing to read someone has chosen to try and portray real life and love in the film too! I haven't heard of this yet but looks like a good film to watch. I'll probably ask my husband to watch it with me.